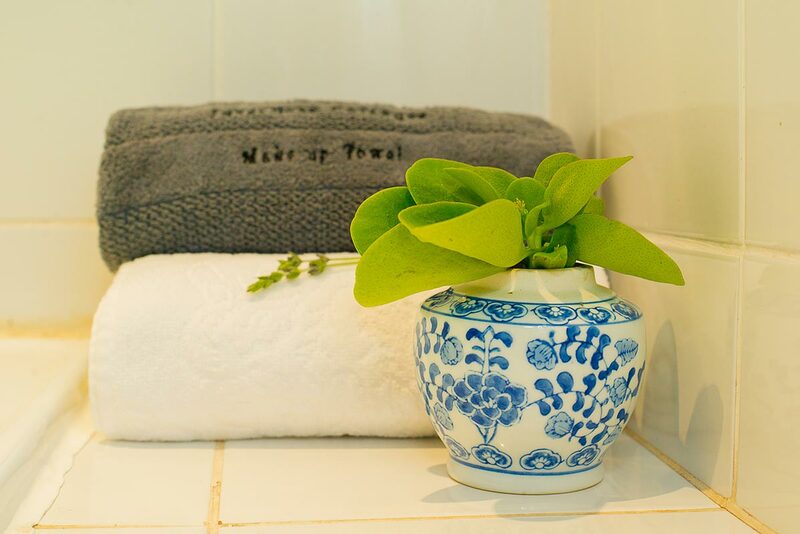 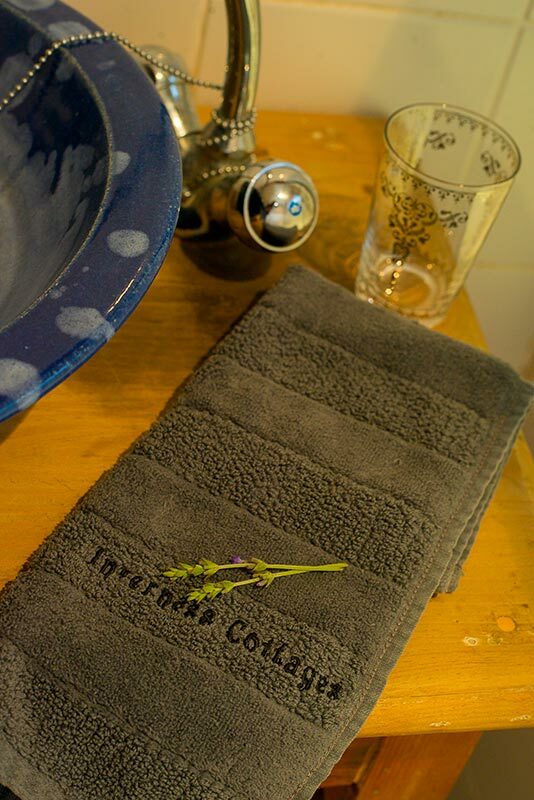 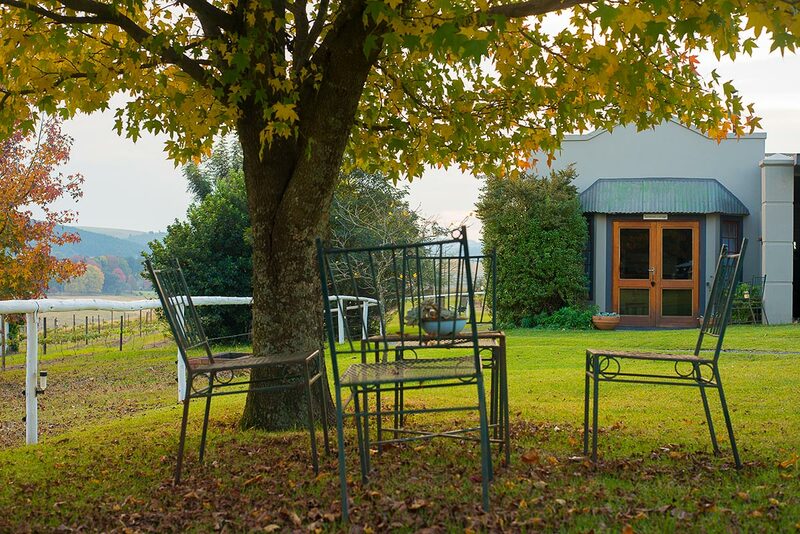 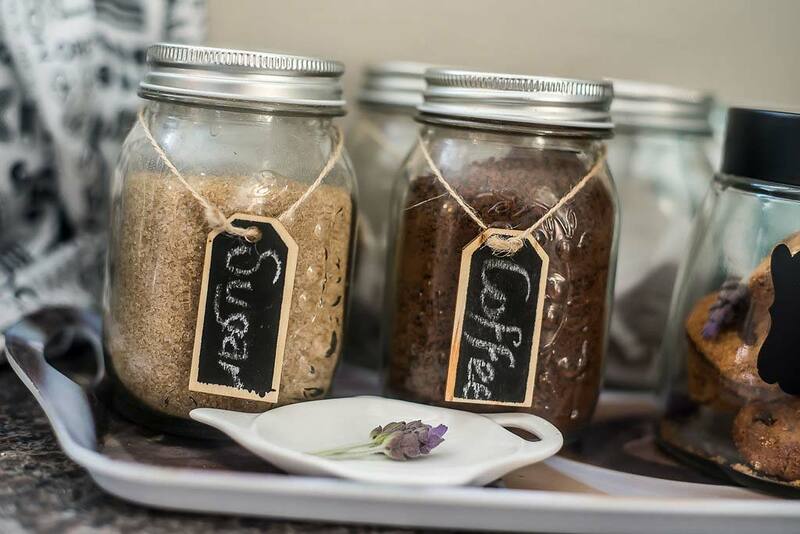 Our three luxurious self-catering cottages are beautifully appointed, each with their own private garden entrances, parking and spectacular views over our vineyard and valley below us. 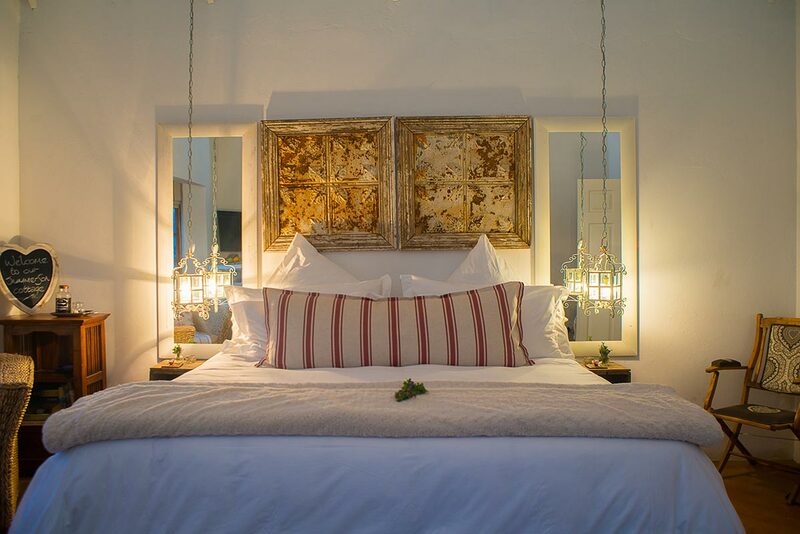 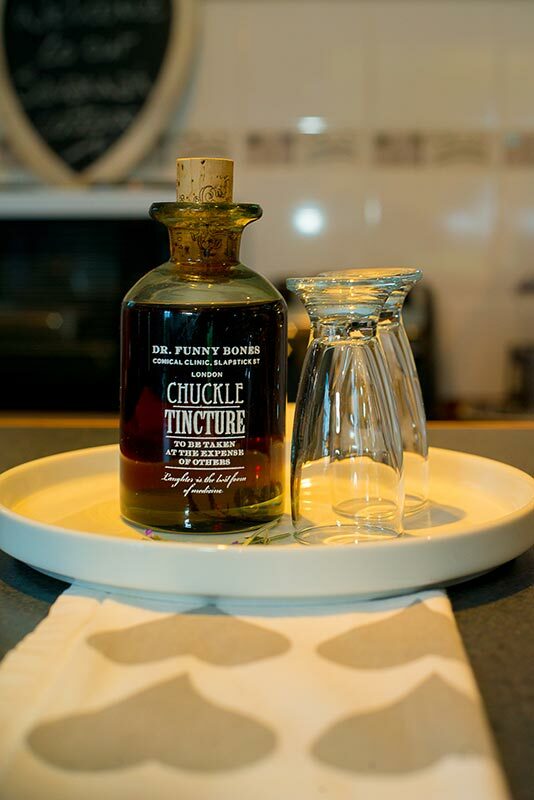 Snuggle up with our crisp white percale linen, complimentary sherry, electric blankets and duck- or goose-down duvets. 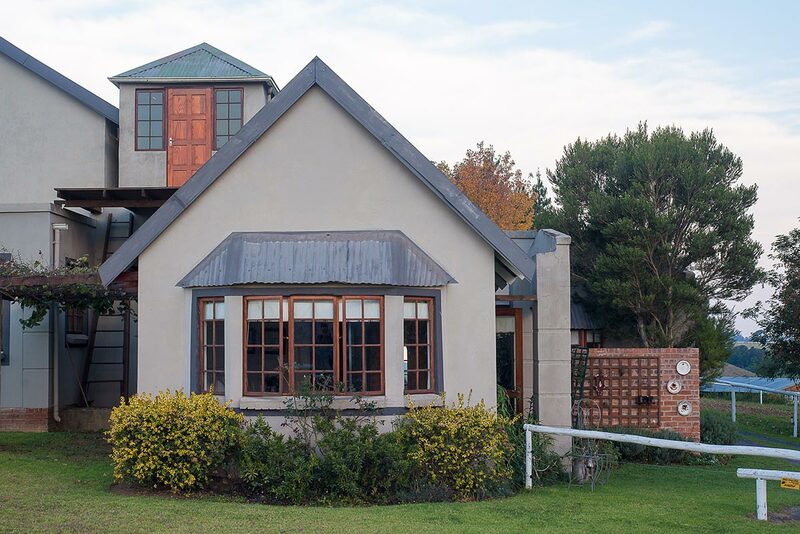 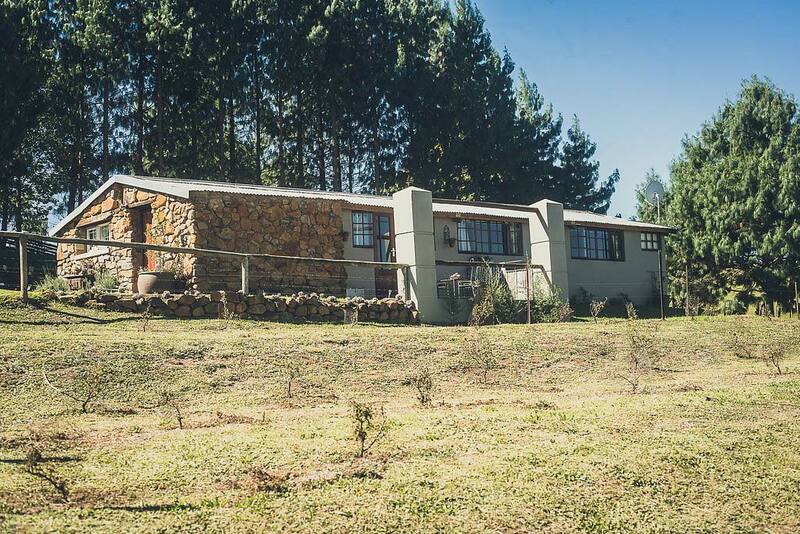 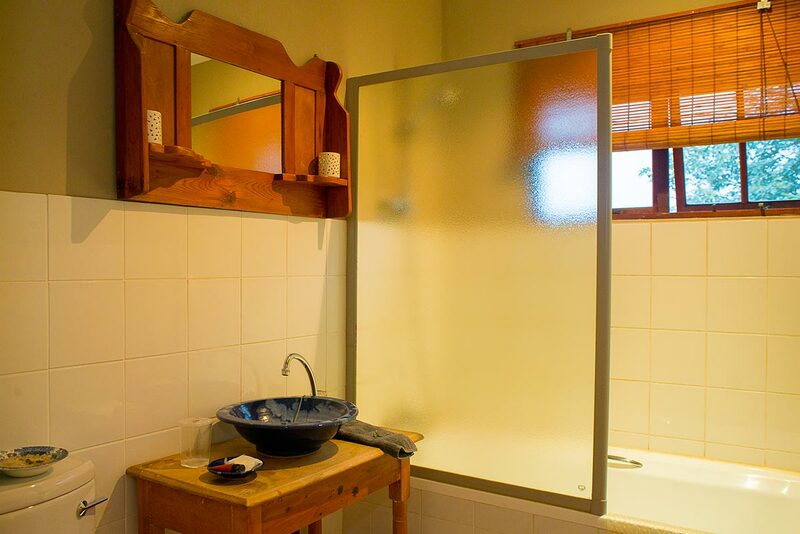 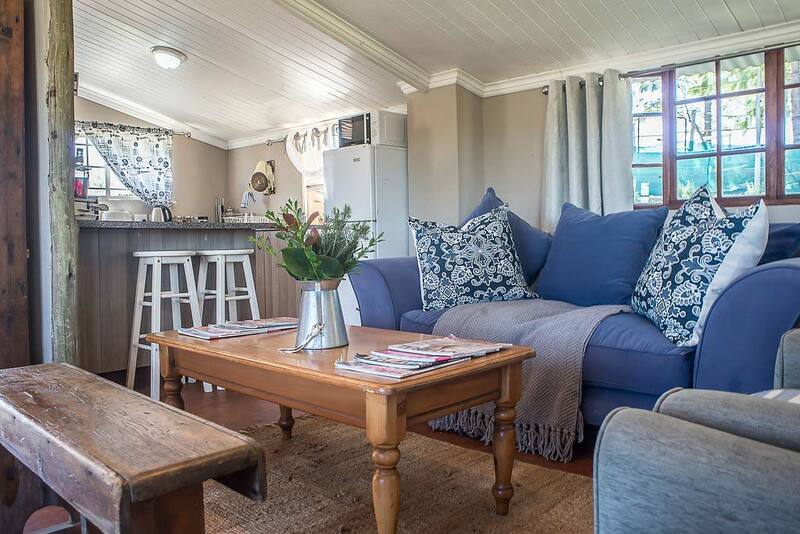 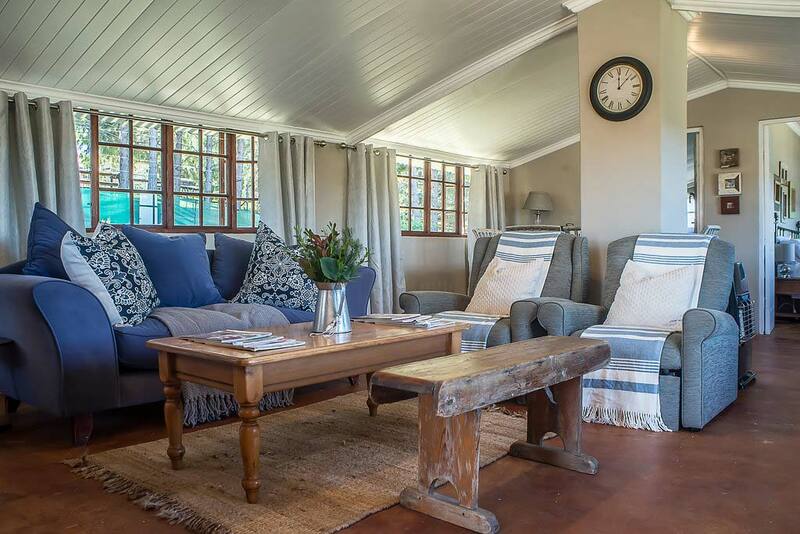 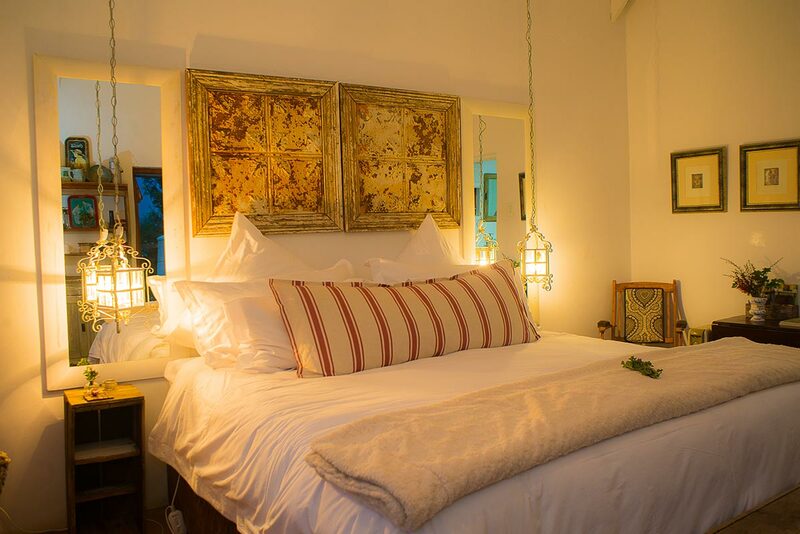 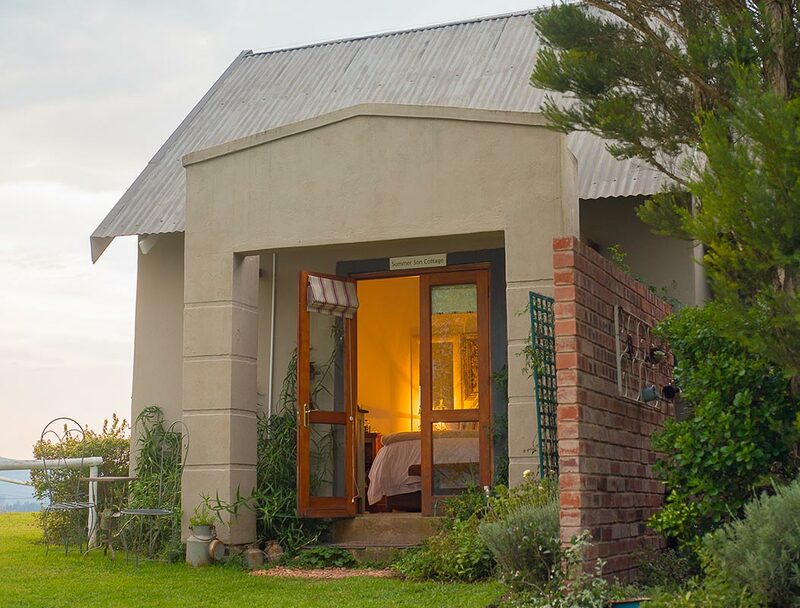 This lovely cottage has a queen-size bed, full bathroom (bath with hand-held shower), fully fitted kitchenette adjoining the comfortable lounge with a cosy fireplace and full DSTV. 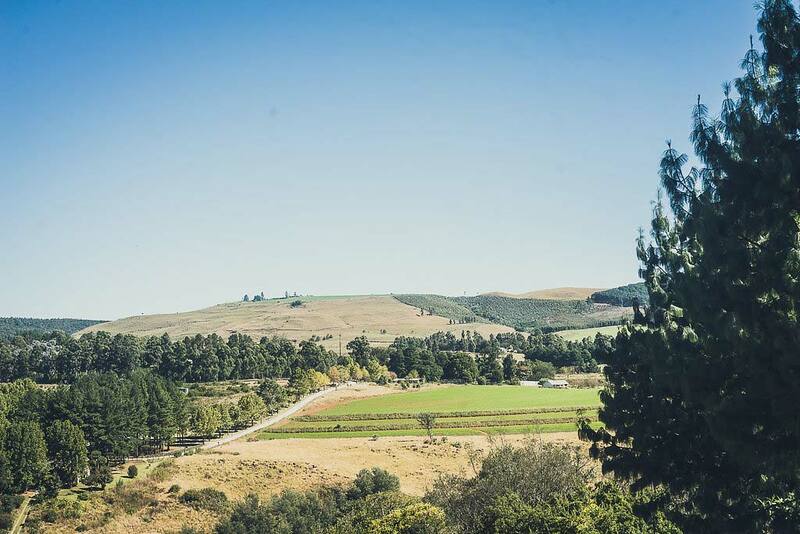 Lovely farm and waterfall views. 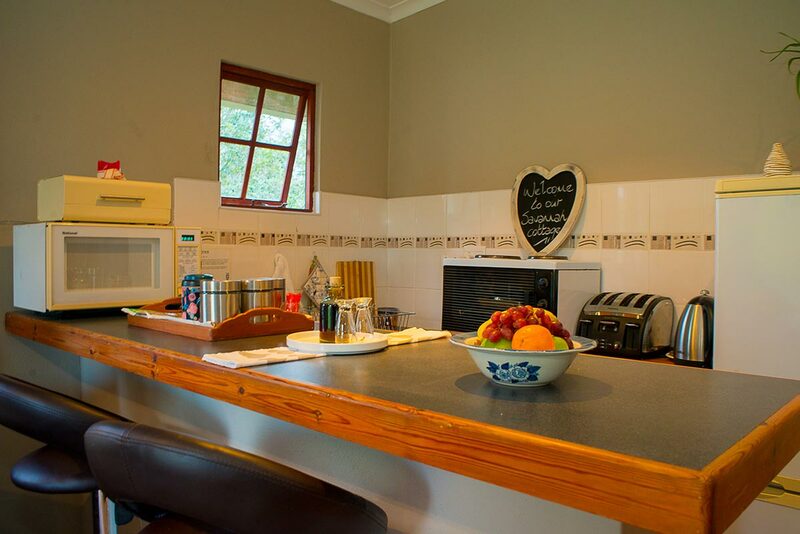 Light catering facilities include a microwave, a bar fridge, kettle and toaster with tea/coffee facilities, utensils & crockery. 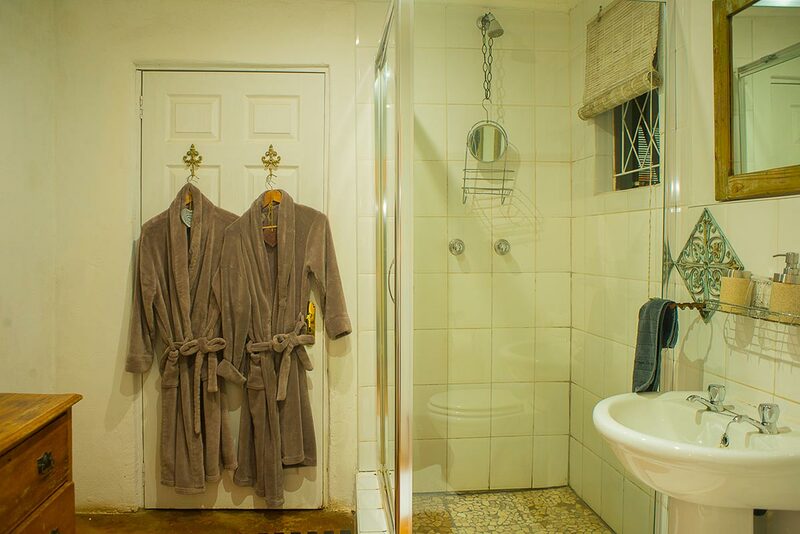 Our special cottage, with a king-size bed and an en-suite shower. 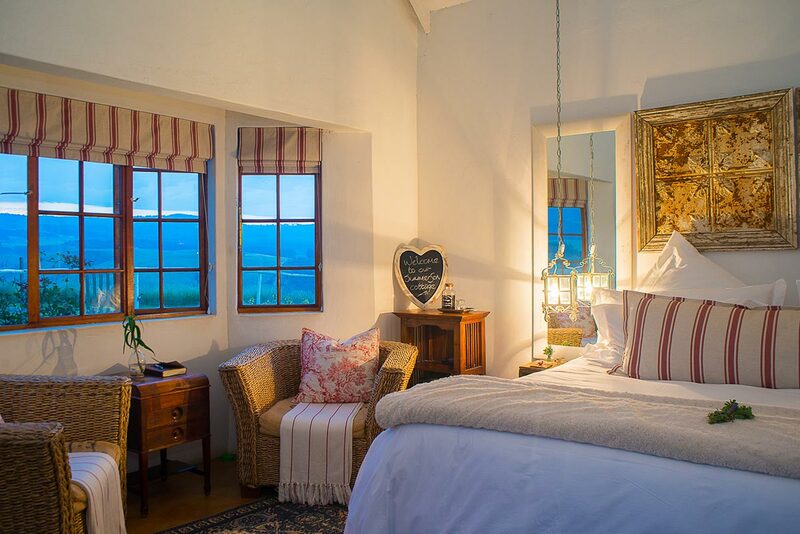 Magnificent sunset views. 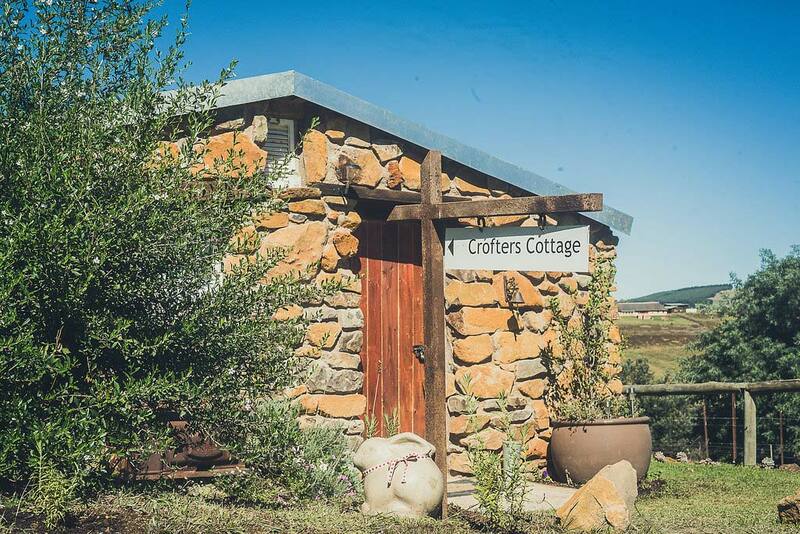 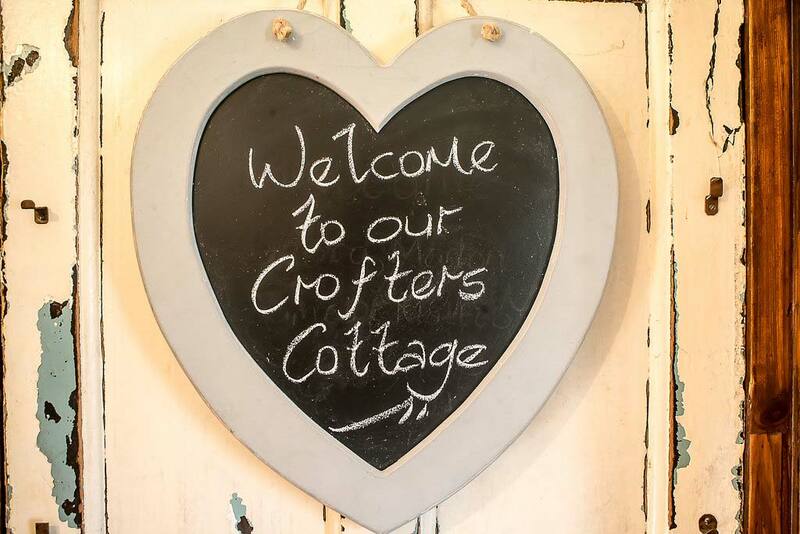 And so, we have the most delightful new addition – our unique and spectacular Crofters Cottage! 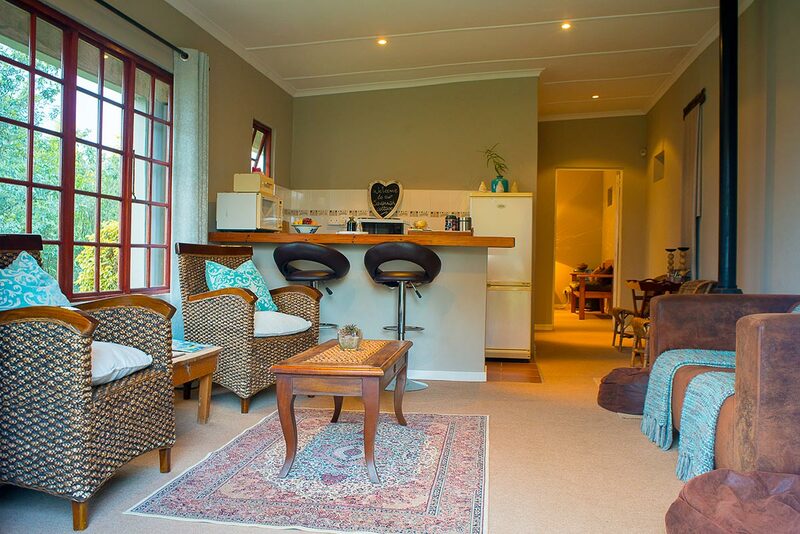 The open plan lounge, dining room and kitchen area is spacious and at the same time, cosy and warm. 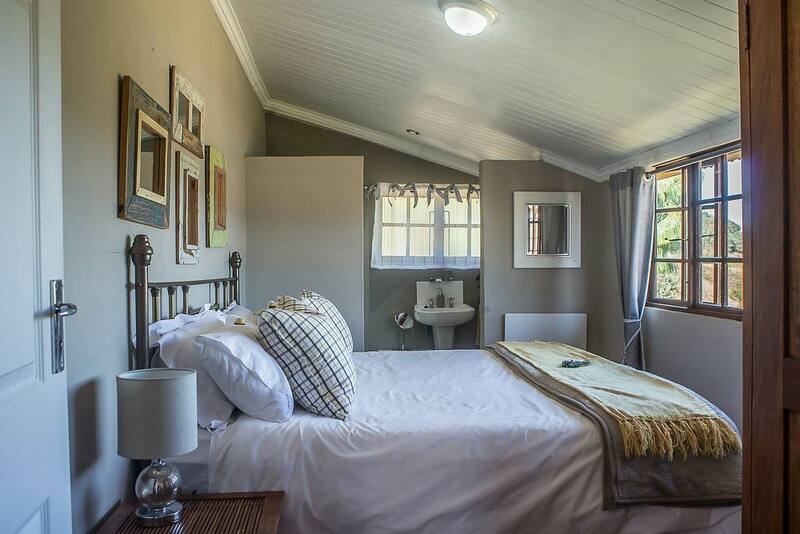 2 bedrooms, both en-suite – one with a shower and the other a bath, make this a perfect cottage for a couple with children or 2 couples. 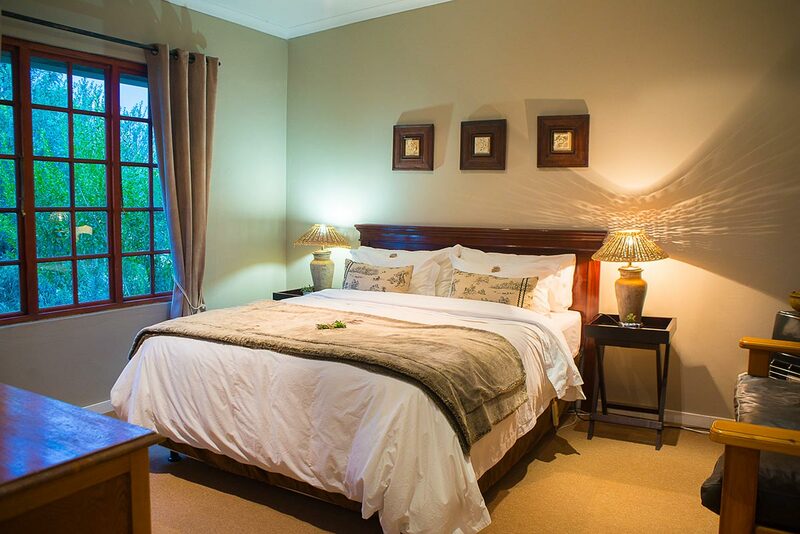 Queen bed in the one room and either King or Twin beds in the other keeps your options open. 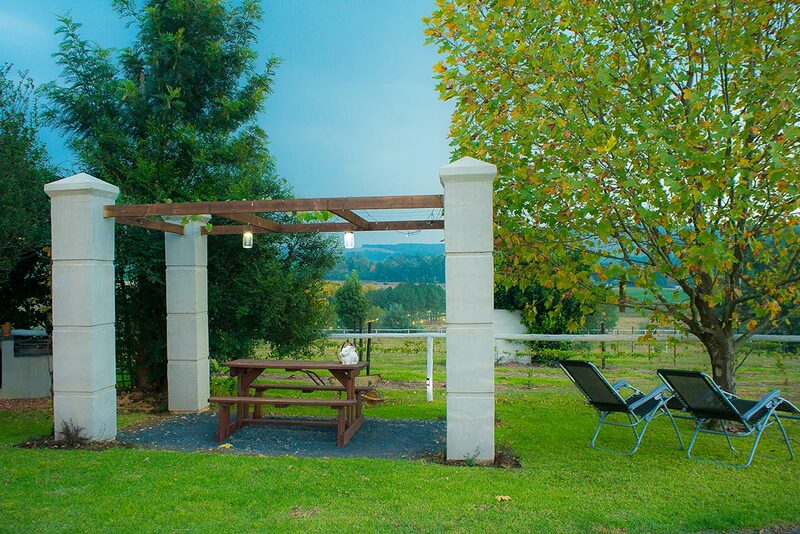 Braai facilities for your convenience.